Live At The Centre Of It All With SmartCentres Place. Featuring High Modern Storey Towers With Luxurious Condominium Suites. 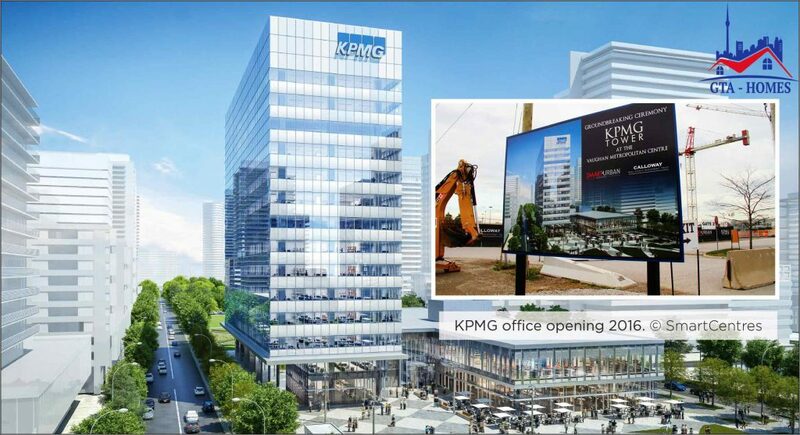 Located at Highway 7 & Jane, next to the new Vaughan Metropolitan Centre. Close to the New Subway Station that will connect you to Downtown Toronto in just 45 minutes. Multi Billion Dollar re-development of a brand new downtown that will include new office towers, hotels, entertainment district, convention centres and much much more. Launching Spring 2017 - Sales Start From The High $200,000's. SmartCentres Place is in the middle of it all. So if you’re ready for anything, it’s ready for you. 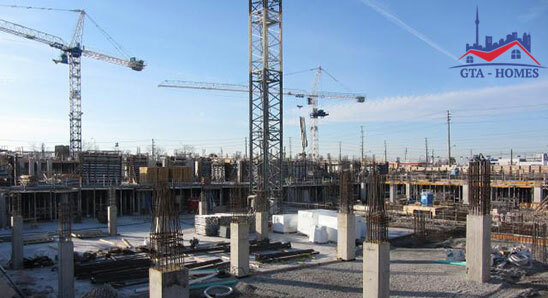 SmartCentres Place Condos an ambitious evolvement community coming soon to a new downtown. A new pre-construction mega master-planned community project located at Hwy 7 and Jane St by a partnership between SmartREIT, Penguin Investments Inc. and CentreCourt Developments. 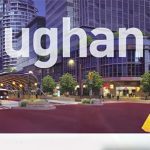 The address is not known at this time but it will be close proximity to the new TTC subway station in Vaughan that will be up and running in December 2017 and VIVA/York Region Transit Hub. Unique in design it will become a signature piece of the Woodbridge skyline. The first tower "Transit City" will be a singular, slender, elegant and flawless 55 storey high-rise building which will be a testament to the future of luxury living and made to showcase the balance of life and work in one. 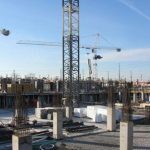 The first condo tower project will have a total of 550 units that will offer a fine selection of 1 bedroom, 1 bedroom plus den, 2 bedroom, 2 bedroom plus den and 3 bedrooms layout designs ranging in sizes from 550 square feet to 1000 square feet. Come home to chic urban living at its best enhanced with array of premium features and finishes. These towers will start selling in Spring 2017 and prices will be ranging from the mid $200’s to mid $550’s with an occupancy date of Fall 2020. 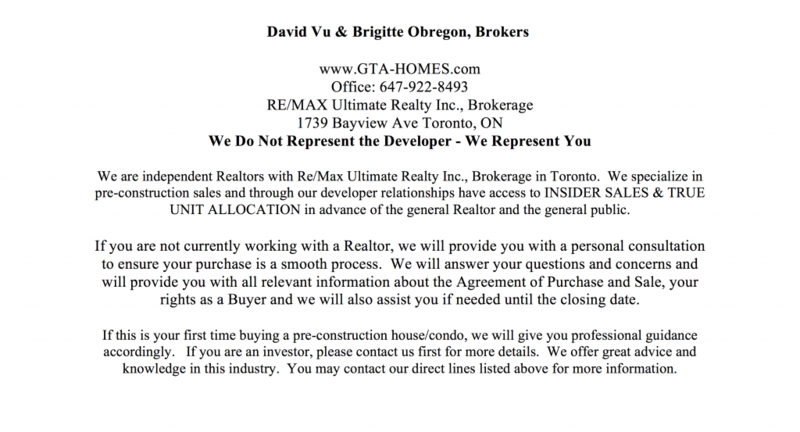 CentreCourt Developments has built many luxury condominiums in Toronto with triple AAA locations and what we have seen in their other sold out projects that might be offered here is galore building features and suite features. Some of their amenities might be right from the moment you step into the grand and elegant lobby lounge that welcomes you into a cool contemporary luxury that sets the tone for life here, decorated with plush seating areas. Relaxed in feel, it takes attention to detail to create perfection, the entrance creates an impact and holds significant presence, the rest of the space is air, inspired and most of all welcoming. Whether you want to just relax for a moment or update your online profile in this wi-fi enabled lounge, this is where active downtown citizens like you are entirely in your element. The finest in fitness, leisure and recreation come together, luxury amenities continue with private dining too, host a big social event or a small intimate gathering whatever you want to do and to please & impress your guests. The private dining room is just perfect and ideal for hosting an intimate get-together for your closest friends, co-workers and neighbours. A Business centre where you can have a board meeting and when you can’t make it to the office or you just want to just take an elevator to hold an important meeting to impress. Want to unleash more energy? Staying healthy has never been so exciting and convenient. Residents here can find top-notch equipment in the fully equipped fitness centre with its bright ambience and array of the latest cardio, weights and aerobics equipment and yoga room it’s the perfect setting to fit an invigorating workout into our busy schedule. In warmer weather, your party can spill out into the terrace garden where SmartCentres Place is about enriching your life in the new city, its about meeting with friends over lunch or coffee, hanging out by the swimming pool or enjoying a Sunday afternoon on the terrace and having some sizzling BBQ. Socializing with friends and family takes a whole new dimension in the beautifully landscaped outdoor amenity scenery with casual chic seating. Entertainment/Party Room, Swimming Pool, Lounge, Gym is just to name a few with the ultimate service of 24-hour concierge. Whether indoors, outdoors or around the city this location let’s you live life to the fullest. The suites will be with tall stunning 9”ft ceilings, floor to ceiling expansive windows and choice of contemporary style kitchen cabinetry, choice of designer Granite or Quartz countertop, brand name stainless steel appliances including refrigerator/freezer, multi-cycle dishwasher, microwave with hood fan in all one and self-cleaning stove. Laminate flooring throughout, the overall design is open concept to appreciate the beauty of comfort. Spa inspired bathrooms with soaker tub as per plan, designer selected vanity cabinets with choice of Quartz or Caesarstone countertops & with designer selected framed mirror. Ensuite laundry with full size front load stacked washer and dryer. This area is booming and SmartCentres Place will be at the intersection of everything bordered from Hwy 400 - Jane St - Portage Pkwy - Hwy 7. This city is at the centre of the GTA public transit and highway infrastructure and as it continues to grow, so does the mix of housing, from single family homes to high-density condominiums, it’s a place where anyone can connect to anywhere. A modern urban centre for residents and businesses that embrace all amenities of urban lifestyle from inspiring multi-use office towers, residences, open green space and urban squares, pedestrian shopping areas and restaurants, to walking and cycling paths. All coming together with some of the most technologically advanced sustainable buildings in the world. The community will enjoy significant public spaces and a feel of community, including a nine-acre urban park, one or more schools and community facilities, including a public library and a full-service YMCA community centre of 100,000 square feet that will start construction next year. The creation of this joint venture is another step in creating a vital and vibrant urban community where people will live, work, shop and play. This project is the first of many residential towers and represents SmartREIT’s first step into the residential area. In addition to the VMC, there are many other mixed use investment opportunities within SmartREIT’s existing portfolio including residential investments. 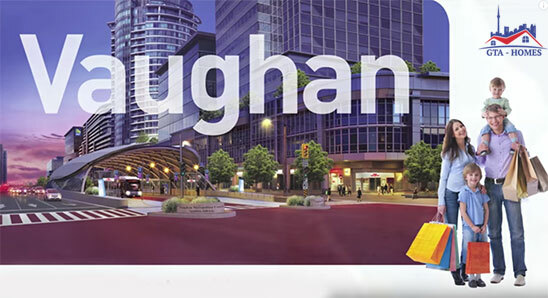 The Vaughan Metropolitan Centre is the biggest and most ambitious, exciting expansion in Canada in a generation. 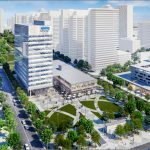 SmartCentres Place Condos will be in the heart of this new downtown where Live-Learn-Work-Shop-Play are all within reach where public spaces bring people together with friends and neighbours. 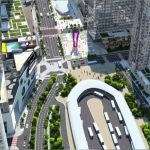 Located only 25km north of downtown core at the intersection of Highways 400 and 407 and divided by Highway 7, the urban transformation is an exciting and unparalleled emerging urban core within the GTA. Living at these high rise towers you’re just steps to everything that makes downtown so cool and exciting. Here, the streets are alive, with fine restaurants, nightclubs, RioCan Colossus Centre, Cineplex Cinemas, Canada’s Wonderland, Mills Mall, exquisite spas and salons, York University, designer shopping, tranquil parks and more. Walk to the subway and get to Union station within 45 minutes. 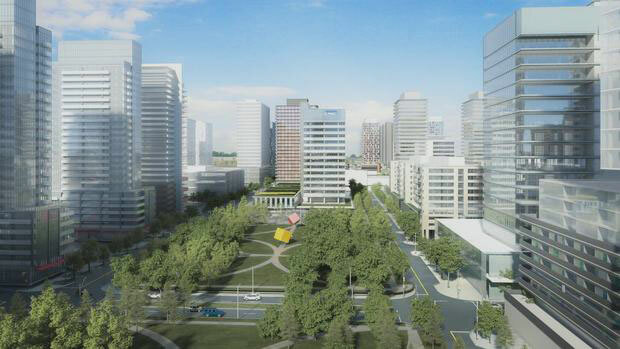 This 400-acre planned downtown for the city will provide all the amenities of a vibrant city centre including direct access to public transit with a direct connection to downtown Toronto and Union Station. 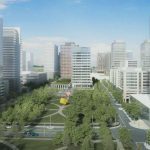 Of the 400-acres making up the VMC, SmartREIT has a partnership with Penguin Investments to build 100 acres immediately adjacent to the new subway station and a York Region bus terminal. 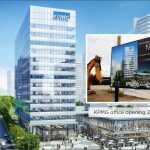 The new office building in the area, branded for lead tenant KPMG, is nearing completion and will open in Fall 2017. Making it one of the most accessible office spaces in the GTA. 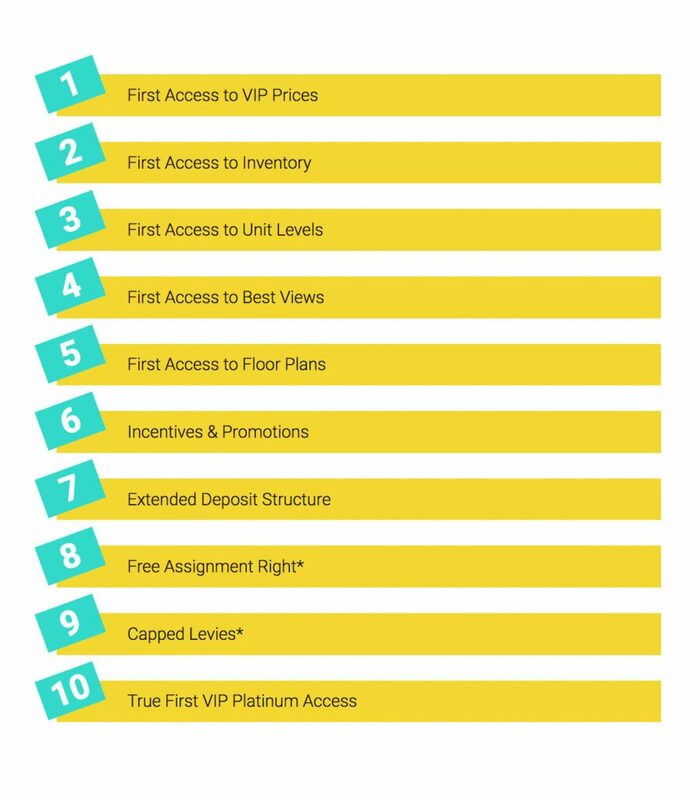 Register here today for Brochure, Floor Plans & Price List. 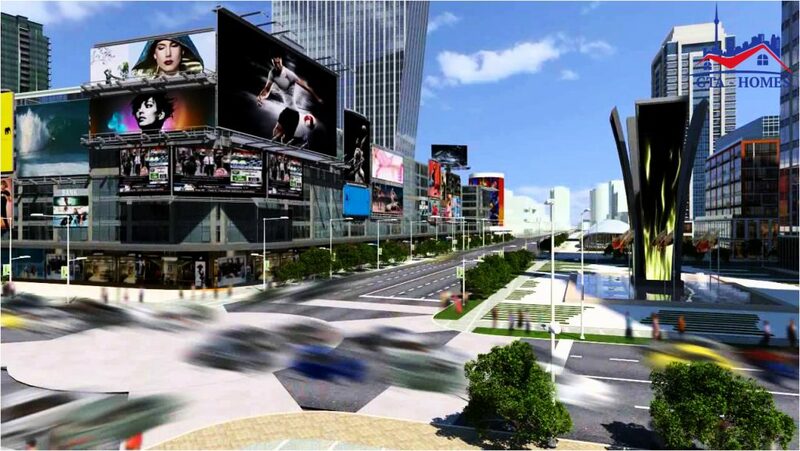 SmartCentres Place is a 100-acre, 17 million square foot master planned development bound by Hwy 400 to the west, Jane Street to the east, Portgage Pkwy to the north and Hwy 7 to the south, connected to downtown core by the new subway. 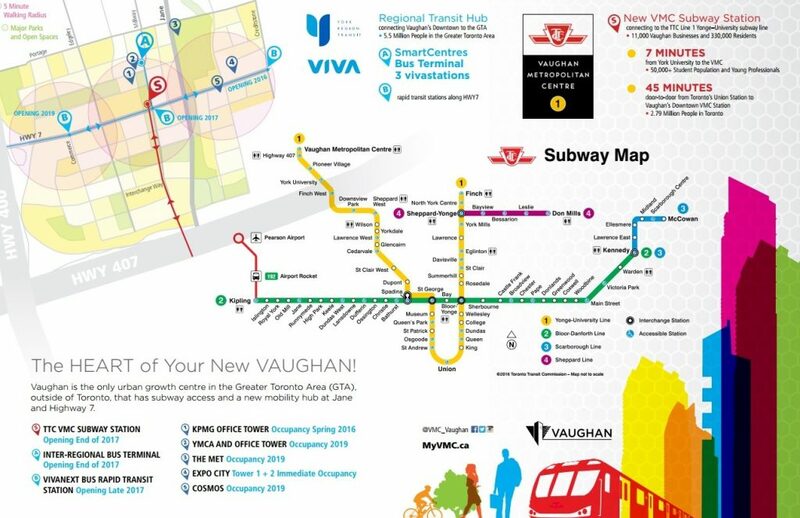 The Vaughan Metropolitan Centre at Highway 400 and Highway 7, is in the planning stages to bring 40 million square feet of density around various mass transit, including the TTC University subway line’s expansion, the new VIVA rapidway and York Regional Transit central bus station. 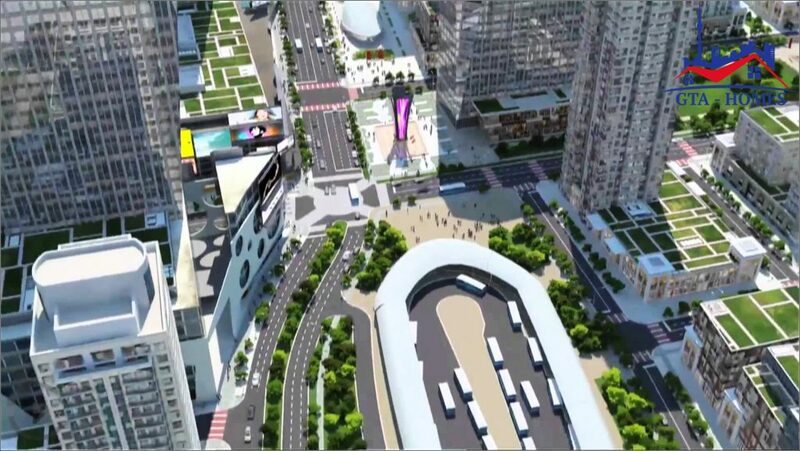 Together these will form the important elements of the transportation infrastructure serving this new building centre of commerce, culture, recreation, open spaces and urban life. 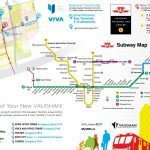 VMC is unique in that it is centrally located, serviced by the new subway and bus transit by Hwy-400, Hwy-407, and Hwy-7. 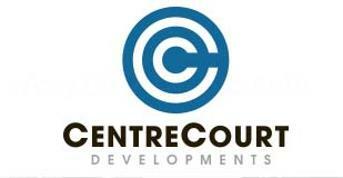 Since 2011, CentreCourt has completed and/or is in various stages of building over 3,000 condominium units in six major high-rise projects with a value of over $1.2 billion. SmartCentres Place is a new addition to their portfolio in this vibrant new city. Construction is well underway on the VMC with the goal of creating a highly urbanized mixed-use downtown. 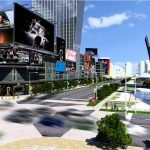 The many uses will include retail, hotels, banquet and convention centres, restaurants, fitness clubs, entertainment and office buildings. Proposal applications are being submitted now which will transform the VMC into a community with a variety of residential options including affordable housing. These high rise towers will be near everything you can imagine. Defining the heart of our new downtown the City is moving forward on plans for the YMCA to locate a YMCA Centre of Community, City library and recreation space in the VMC. 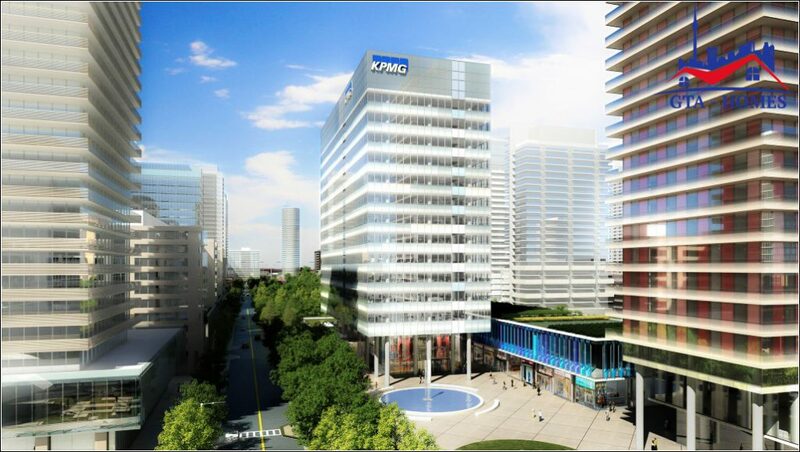 CentreCourt Developments Inc., brings you the first residential project being so close to the KPMG Tower, PwC and the new subway station “VMC” – An elegant tower with 550 condominium suites that will change the landscape for this city. 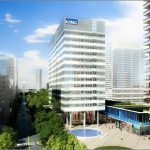 In the heart of Vaughan Metropolitan Centre “VMC” with its excellent location, being so close to the VMC subway station that is expected to be open and operational in December, 2017 and which will connect SmartCentres Place residents to downtown core in just 45 minutes.